Blue kilt towel; perfect for the beach, the bath... Bring it with you everywhere you go! + Impress your friends with the fun Kilt Towel! + Beach towel with a tartan print in blue -Scotland and Galicia's national colours. + The towel print also shows a sporran, belt and kilt pin. 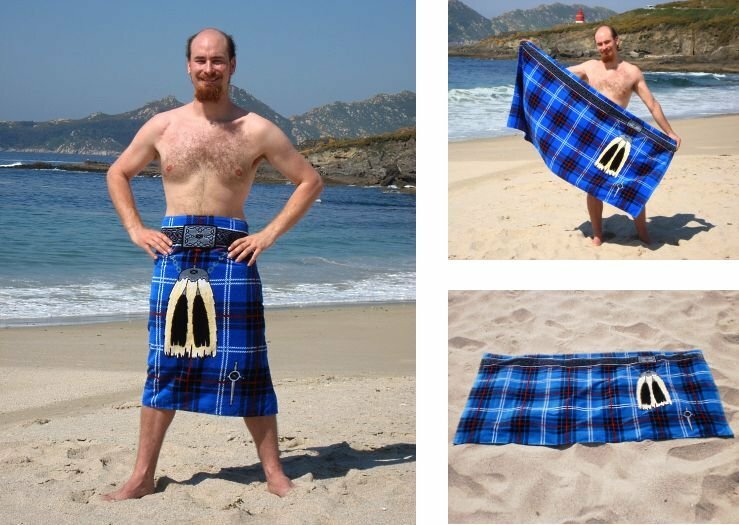 + Put the towel around your waist and you'll have a kilt on the beach! + Measures 150cm (59'') long x 75cm (29'') wide. + Made in 100% cotton.